As some of you may have noticed, the Freebie TFC server's Dynmap has been rendering a new map for the past couple of weeks. As you can see in the screenshot above it now displays the more detailed surface map by default. A few more changes are that Dynmap now shows a limited amount of mobs. Not all mobs are shown, and a lot of passive mobs default to "horse". But it's nice to have. I've also hacked the Dynmap files a bit. 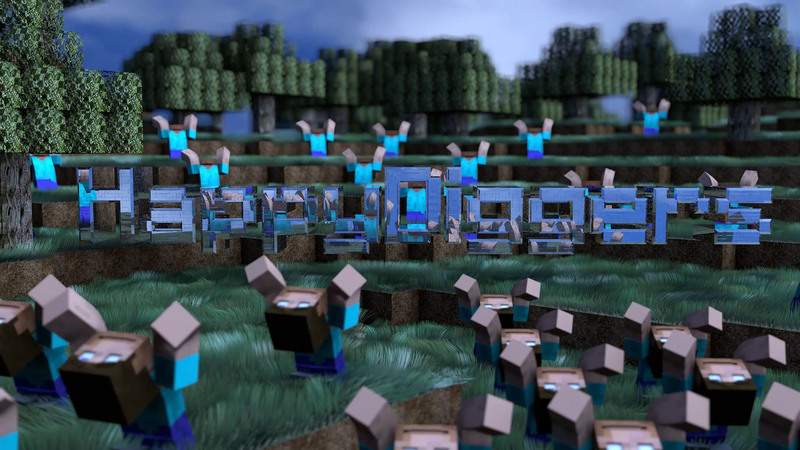 It now shows the HappyDiggers wallpaper you see as the background of this website as background for Dynmap as well instead of that boring black void while you wait for tiles to load. To get around that I replaced the way Dynmap renders TFC grass. It's now essentially rendered as vanilla Minecraft grass with a TFC texture. Dry grass is rendered as vanilla Minecraft dirt with a TFC texture. As a result you can now see (swamp) biome colors on Dynmap. The reason I'm adding the Surface map now is that we're restructuring the donor servers. Those used to have a gigantic 100.000 x 100.000 block map which took up a ton of disk space for Dynmap tiles. Most of that world was useless since in TFC it was mostly frozen wasteland. As explained on the forum the TFC based donor servers are closed and being replaced by a different kind of donor server. This freed up a lot of disk space which we can now put to use for the Freebie TFC server. How much disk space does Dynmap use, you ask? Well here's the answer. The Freebie TFC Dynmap currently consists of 36155984 files and uses 579GB of disk space on a file system that supports tail packing so no space is wasted. Very nice changes! The map even shows vehicles such as minecarts and boats. Also swamp biomes are rendered.